REMINDER: Tournament Tuesday at Hi-Life! 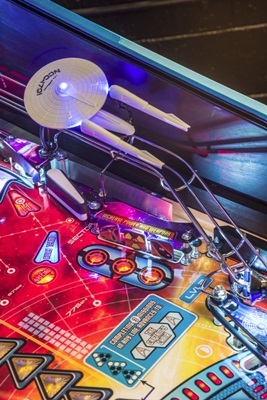 Come down and have some pizza and beer with us, and play the new Star Trek pinball! When: Tuesday 10/29 7 PM start time. For this tournament, you can show up as late as 7:30 and still play. Entry: $5 to enter the tournament, and then quarters for your games. Where: Hi-Life Pizza in downtown Oakland, 400 15th Street. It’s at the corner of 15th and Franklin Streets. The sign says “Rico’s Diner”. DO NOT BE FOOLED. Games are upstairs. For BART, take 12th street exit and it’s a five minute walk. Parking: Meters run until 6. Street parking is usually not bad in this area. Who can play: This is open to all players, ages and skill levels. For example, Ralph Macchio. Format: 10/29 Pin Golf. This will be a straight 7-hole pingolf with no finals and place determined by final scores. A tie-breaker will be held as necessary at the end. 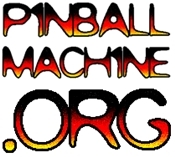 Wpprs: This tournament will award world pinball player ranking points (wppr) at 1/4 value. Obvious: Please don’t bring in outside food or drinks. Thanks. Up to you. I am going to wear nothing but a slice of pizza over my naughty bits like a fig leaf. Are we supposed to wear a costume?